High-waisted palazzo pants with an all-over check print. 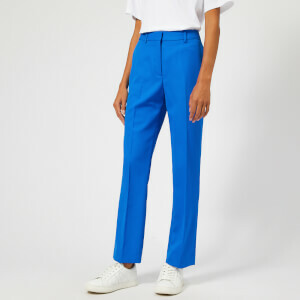 Cut from a luxurious silk-wool blend, the Ganni wide leg trousers combine subtle tailoring with a nod of playful design, combining a high-rise waistband with an exaggerated leg width and diamanté trim. Secured with a button fastening and zip fly. 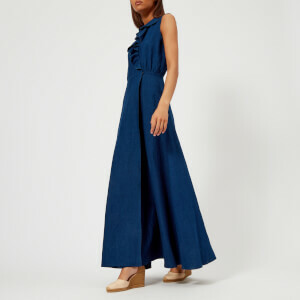 The ‘Merkel’ style is finished with belt loops and four pockets.